Our goal is to provide tools and resources that teach other how to become better communicators, build stronger relationships, and achieve their personal, professional, and spiritual goals. 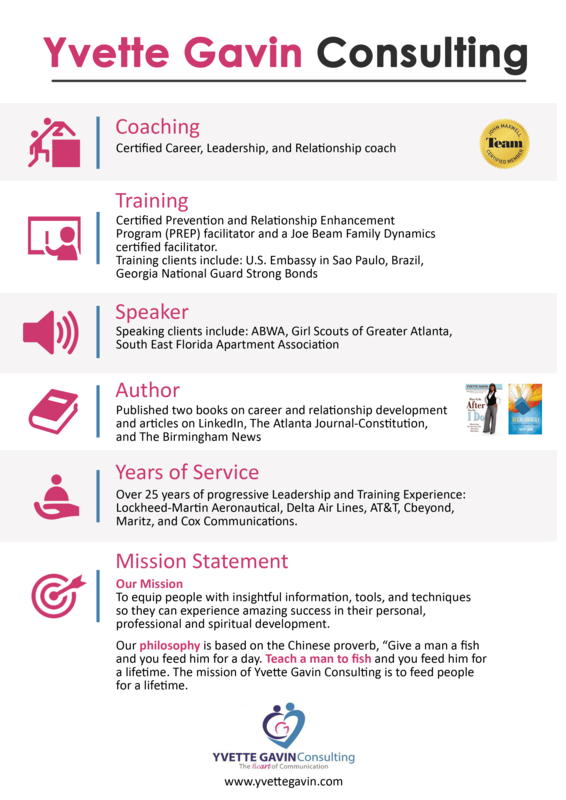 As an independent Certified John C. Maxwell Coach, Speaker, and Trainer, Yvette can offer you several of John's resources for FREE and you can purchase John's resources directly from Yvette's John Maxwell's Team website by clicking here. We're always adding new resources. To receive the latest updates on new resources added to our site, join our Facebook or Twitter Communities.